For the month of April some of the RFD apparatus will have a colorful addition to its standard red and white color scheme. EMS units as well as Command & Utility 98 will sport an Autism Awareness magnet to help raise awareness to this condition. April is Autism Awareness Month nationwide with April 2nd being World Autism Awareness Day. Our EMS division commonly interacts with patients, mainly pediatrics, who may be living with some type of autism. This condition continues to affect more and more of our population becoming a larger consideration for our providers. 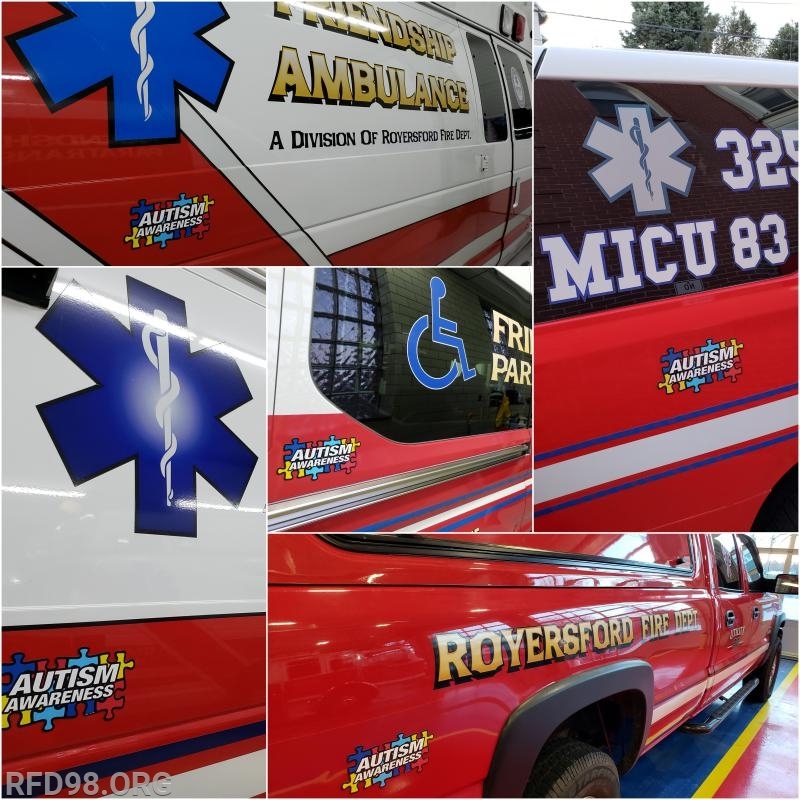 We at Royersford Fire Department want to include all children and others with autism in the fun and excitement that is emergency services. If you have a loved one or friend who may be sensitive to high stimulation areas but would love to see our firetrucks and ambulances, please contact us at info@rfd98.org to setup a tour catered to your needs. If you see our apparatus out and about grab a photo or a selfie with the magnet and tag us on Facebook, Instagram, and Twitter!